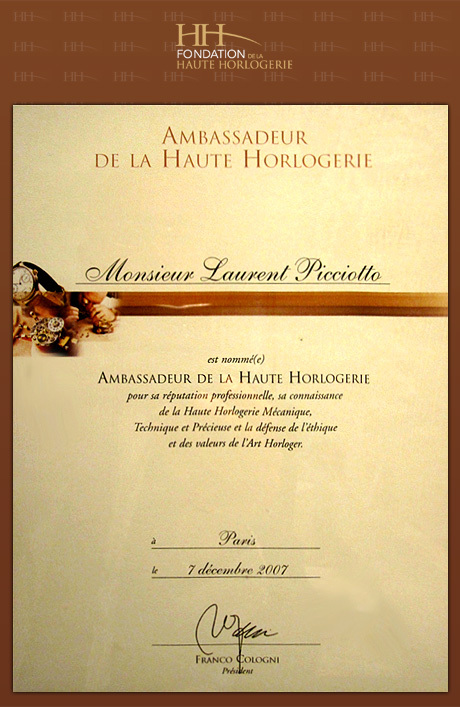 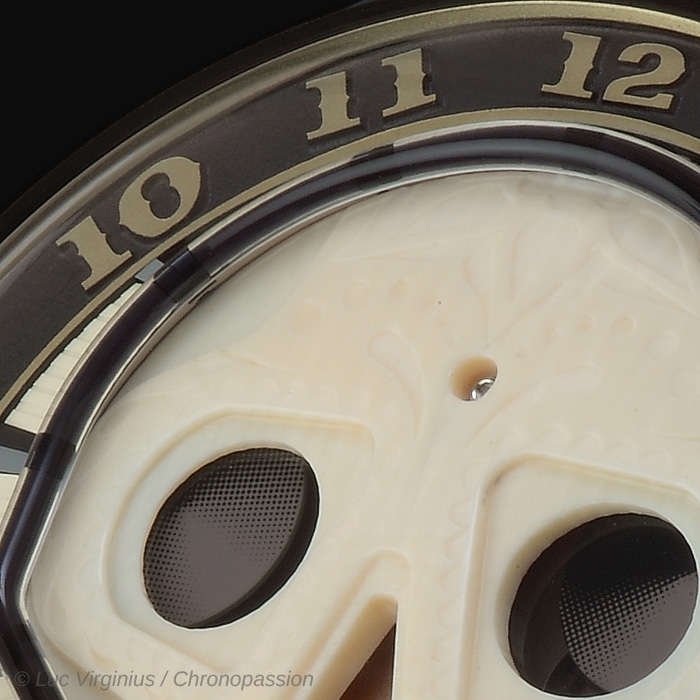 In fact, rather than a limited edition, we prefer to call them five unique pieces; each one is different as they call on living material in a real watchmaking first: mammoth ivory from many millennia ago. 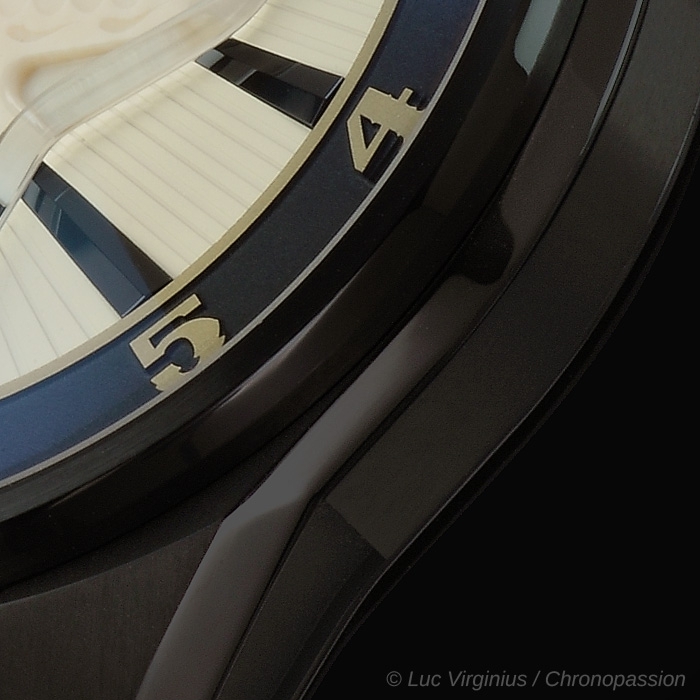 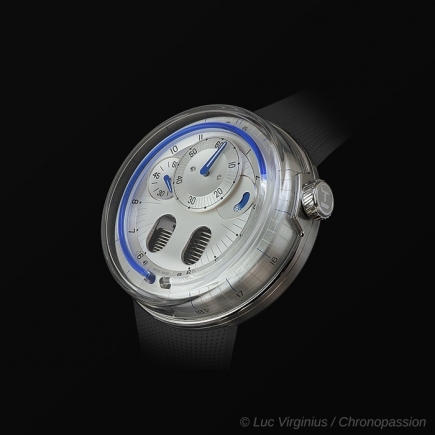 unique flow of time with our fluid technology and a dial made from an authentic material, a true living sculpture. 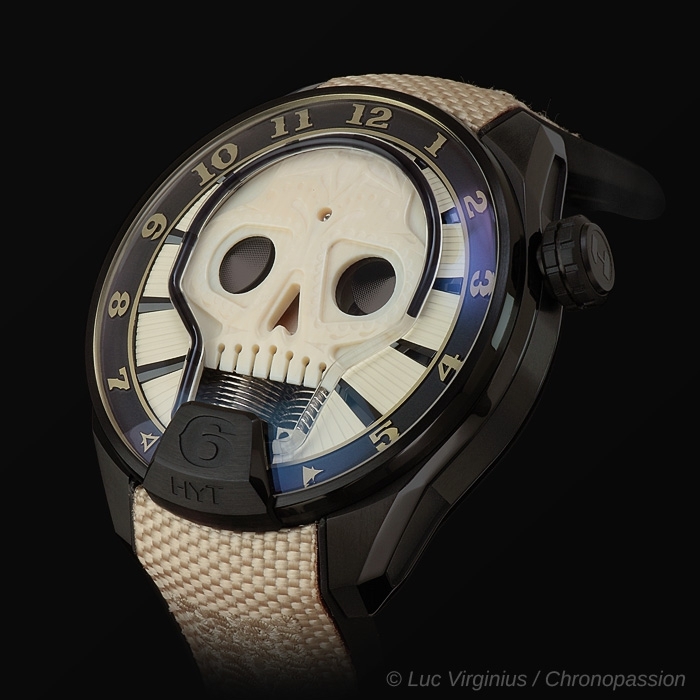 The Skull Vida was born from this all-encompassing, holistic vision." 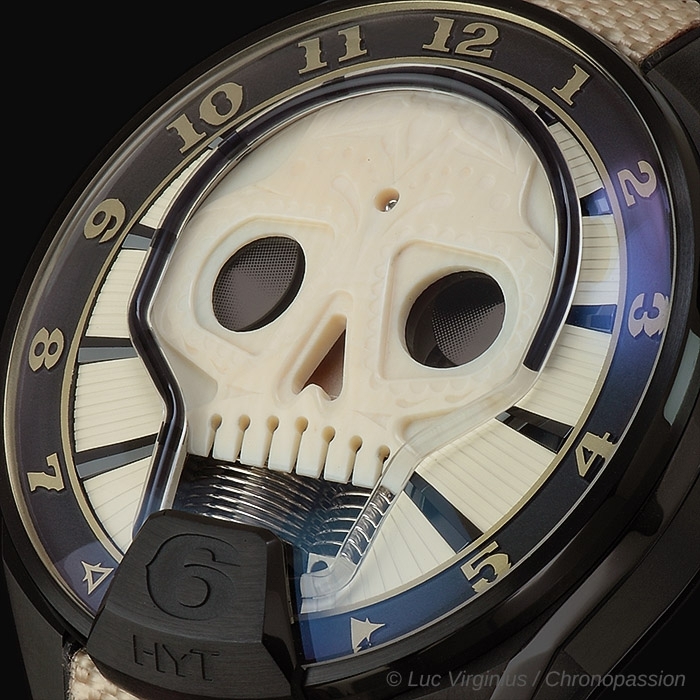 The Skull Vida comes in a 51 mm black DLC titanium case with polished, micro-blasted and satin-finished finishes. 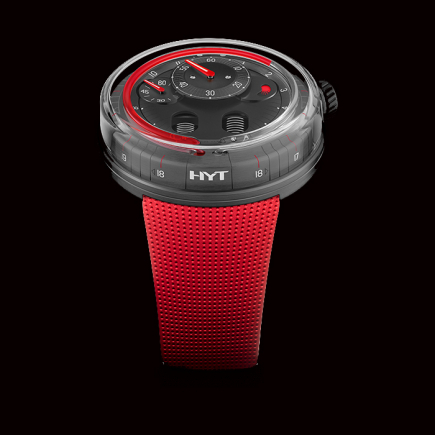 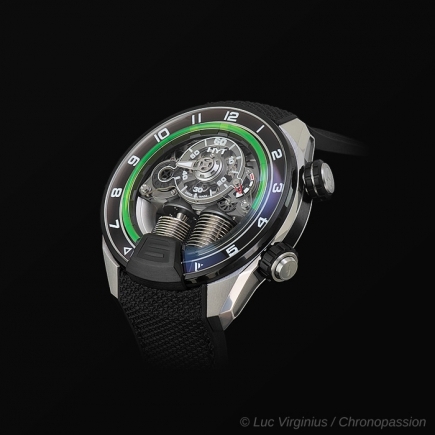 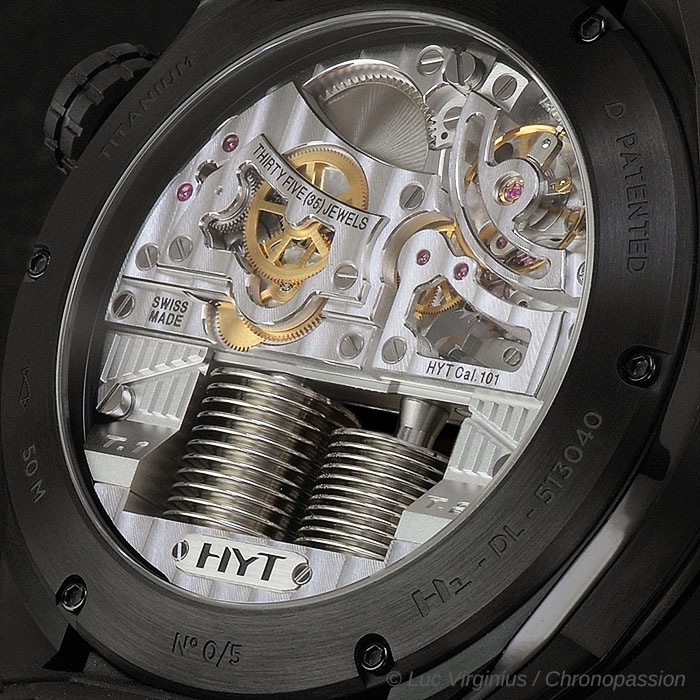 It is powered by HYT's exclusive mechanical hand-wound movement which provides a 65-hour power reserve. 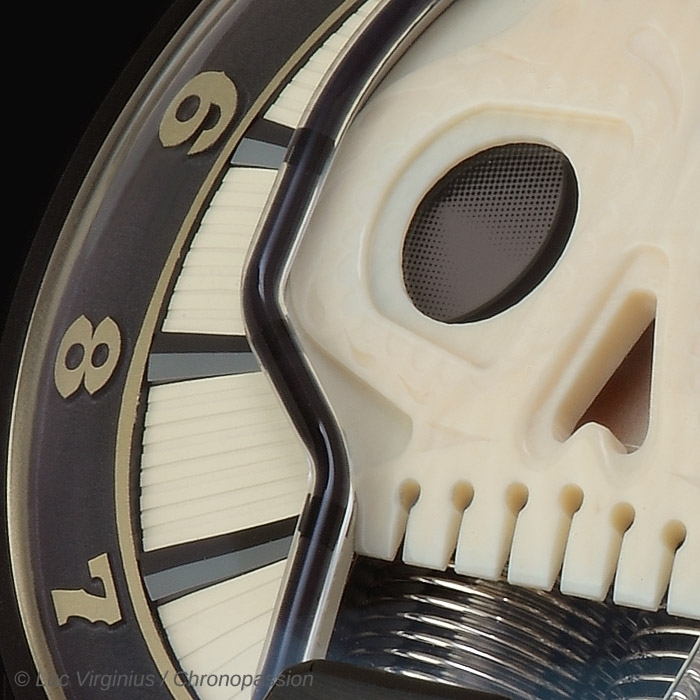 Its dial is shaped like a skull and is crafted from Siberian mammoth ivory. 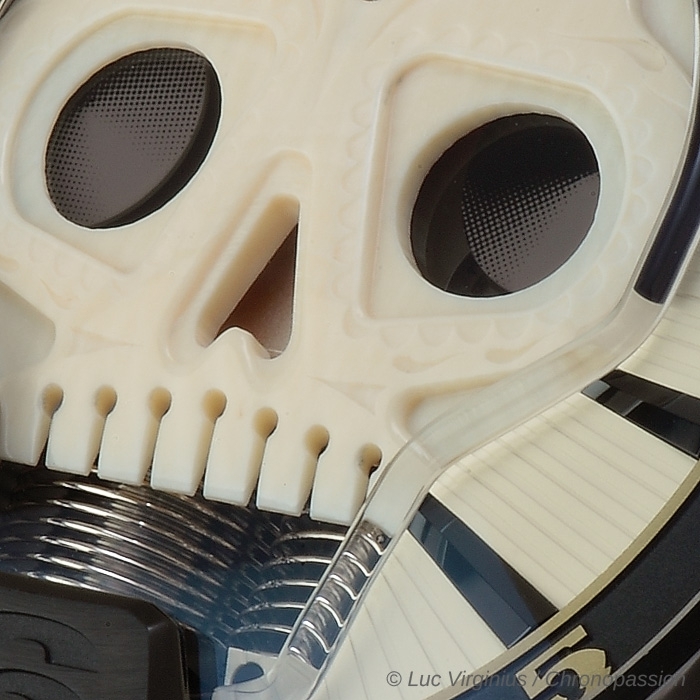 This living material had to undergo a stabilisation phase over the course of several months. 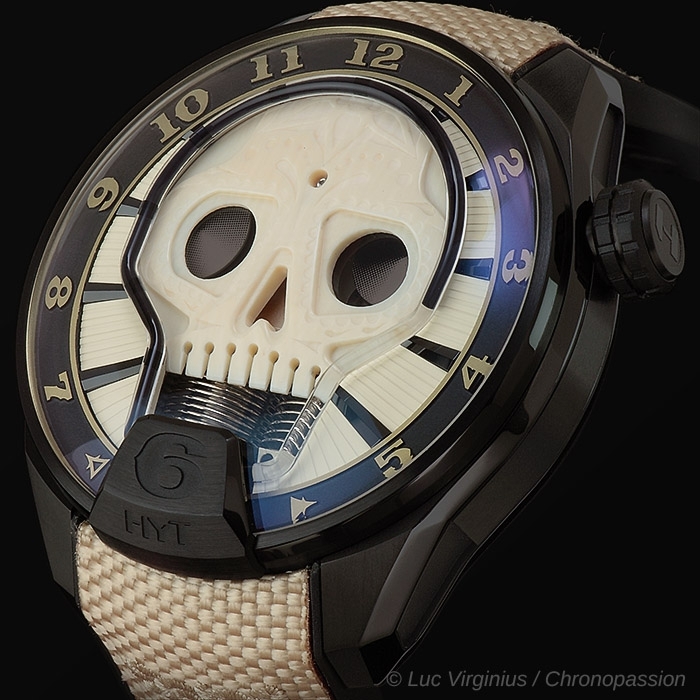 It was sculpted and embedded in the Skull Vida thanks to a series of particularly delicate operations carried out by specially trained artisans. 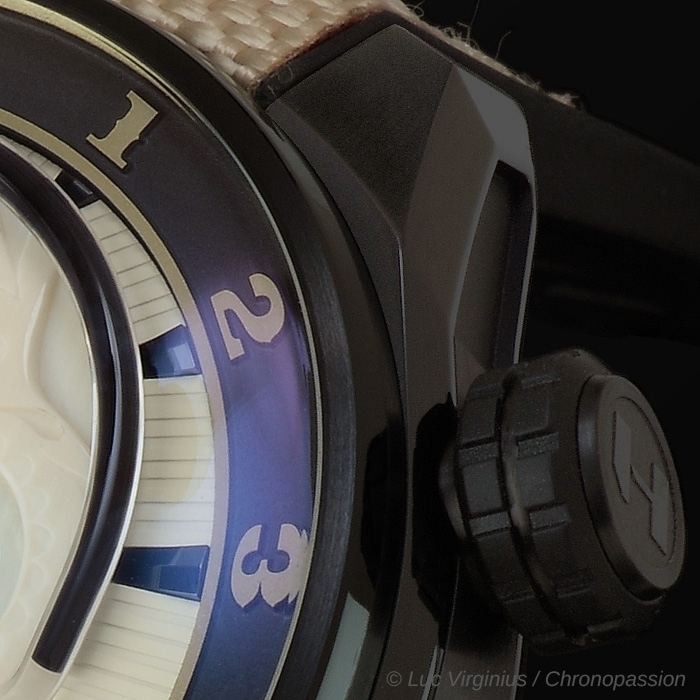 Each dial is completely unique and offers different textures, variations and designs. 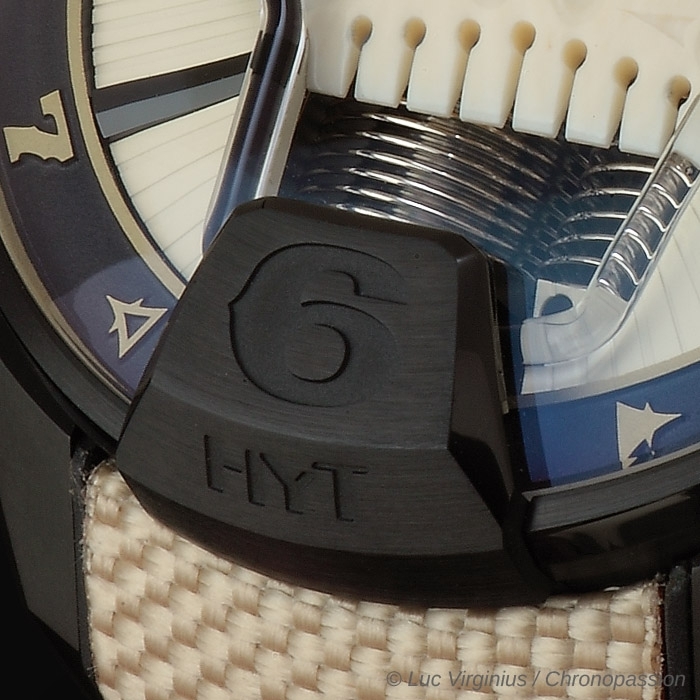 HYT's Skull was entirely redesigned to highlight the properties of the mammoth ivory as much as possible.